Nagasa [length from tip to beginning of tang]: 67.1cm. Motohaba [width at start of tempered edge]: 3.2cm. Sakihaba [width before tip]: 2cm. The Taima school of swordsmiths derived their name from the Taimadera temple in Nara with which they maintained a close association. Since Taima blades were commissioned by monks, they were seldom signed. The Taima school trace their ancestry to the Kamakura-period smith Kuniyuki (circa 1288-1317). 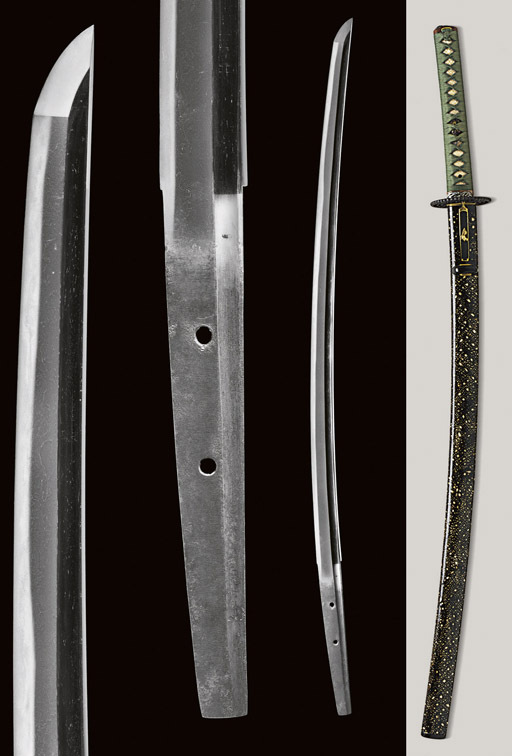 Although the school continued to be active until the end of the fourteenth century, few Taima-school swords survive.